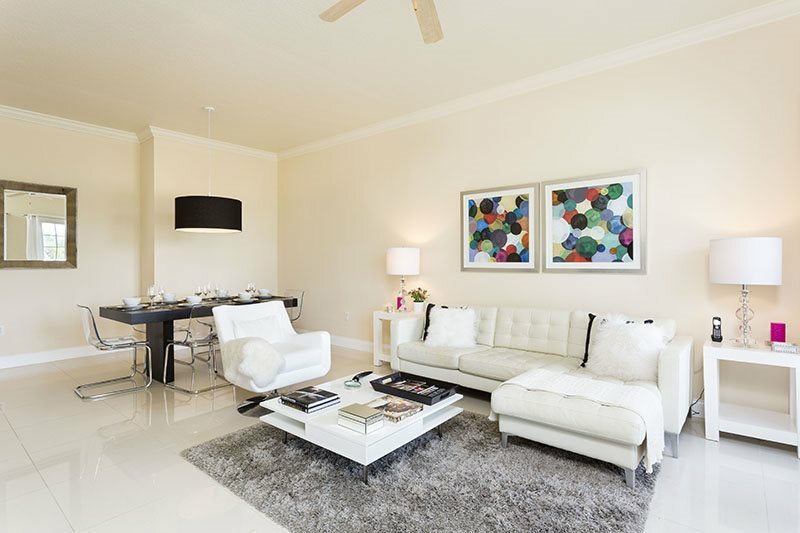 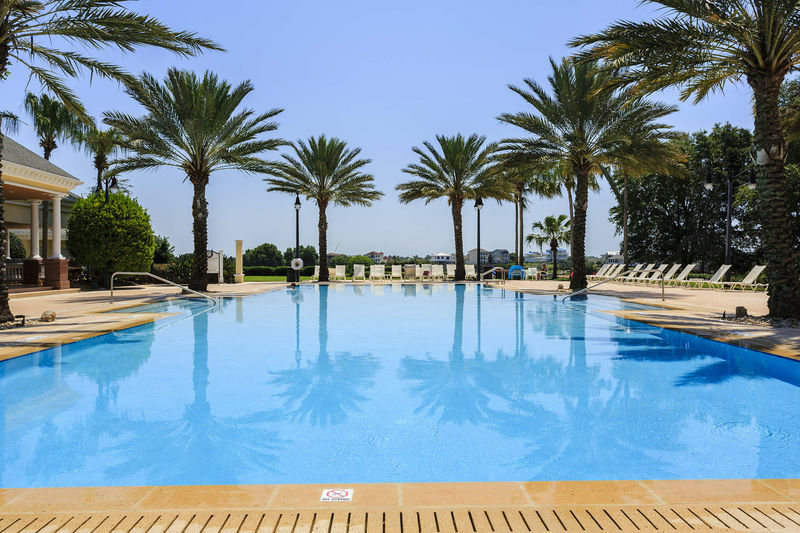 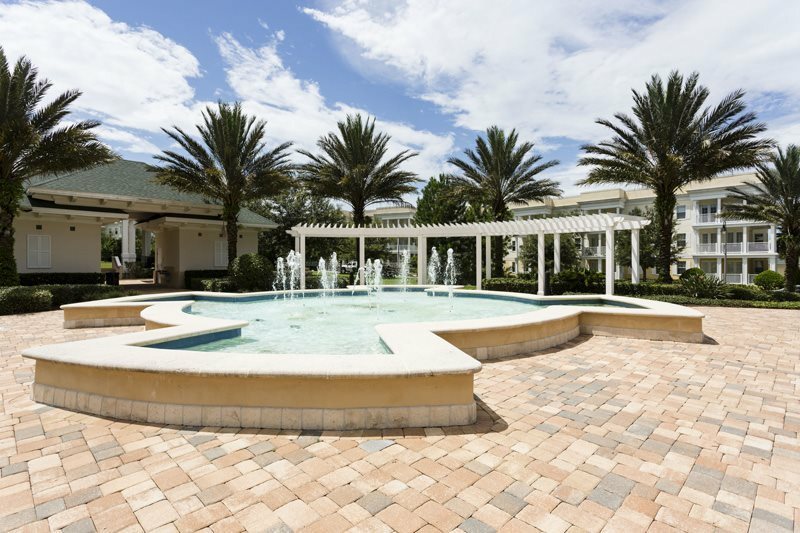 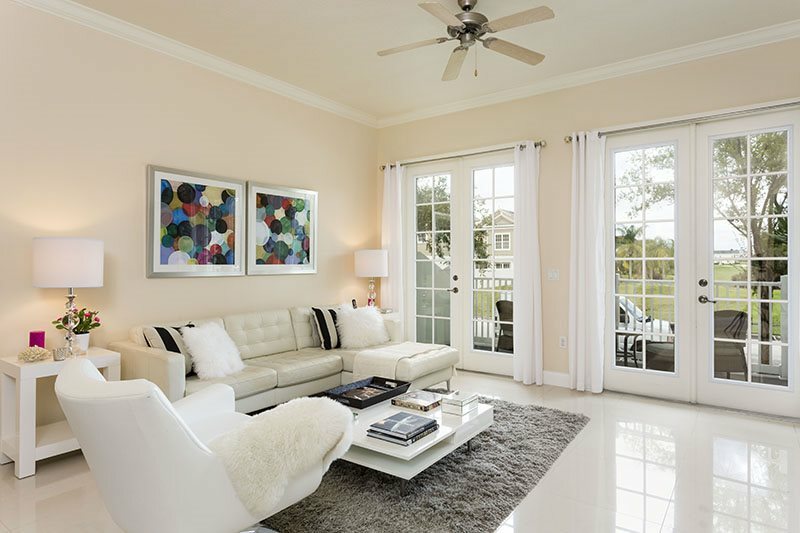 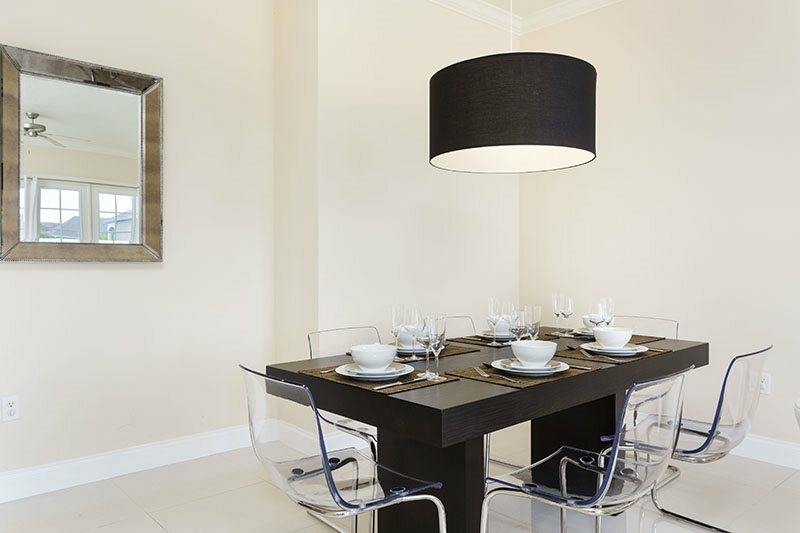 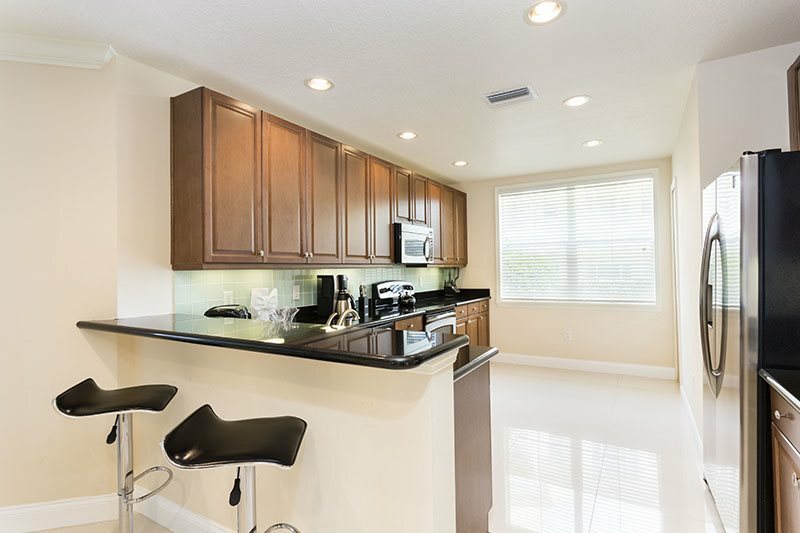 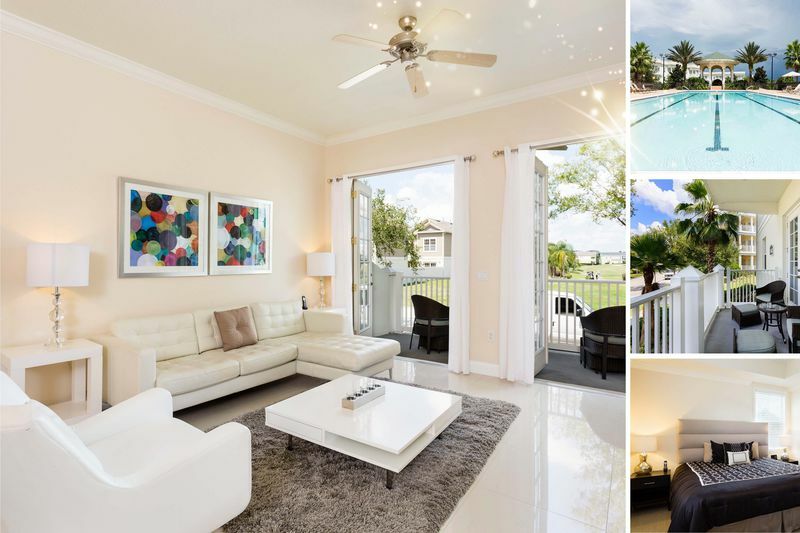 Located in the upscale Reunion Resort community at the Reunion Terraces, this luxuriously appointed ground floor condo boasts a luxury contemporary furniture package. 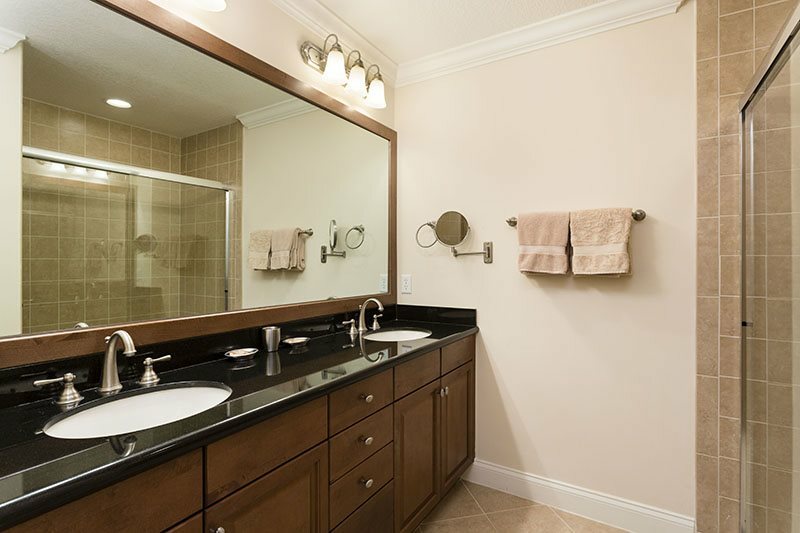 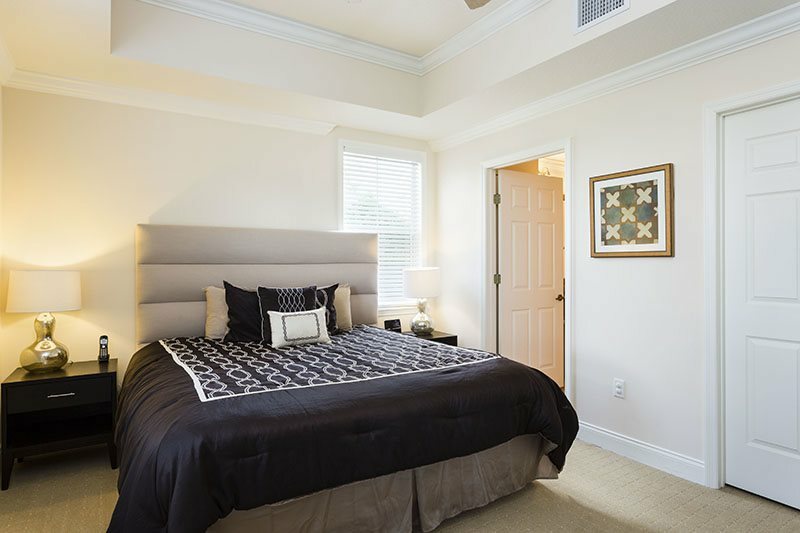 This impressive condo boasts 1,450 square feet of living space and includes three elegant bedrooms, a fully equipped kitchen, and two full bathrooms. 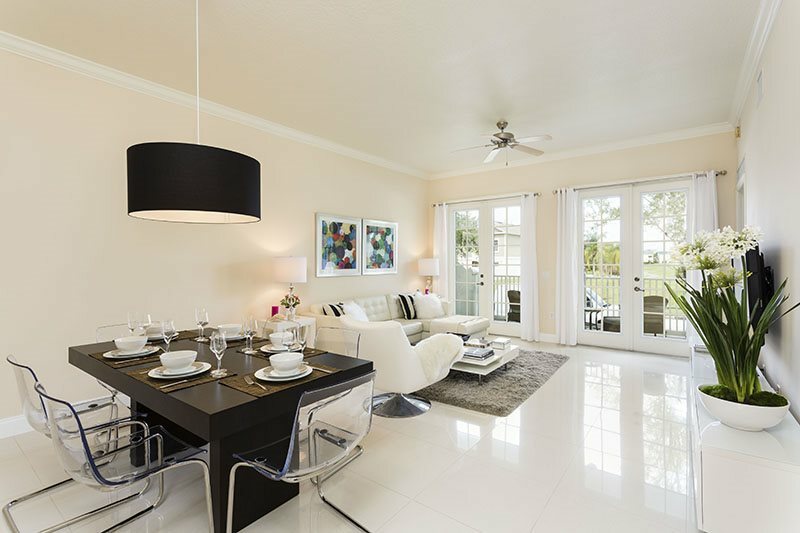 The main gathering area offers living space, kitchen, and dining room that flows out to the balcony area through double French doors. 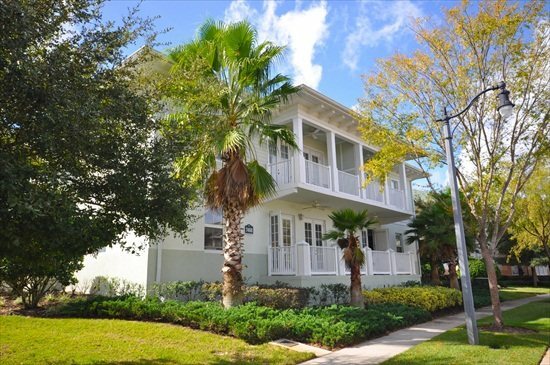 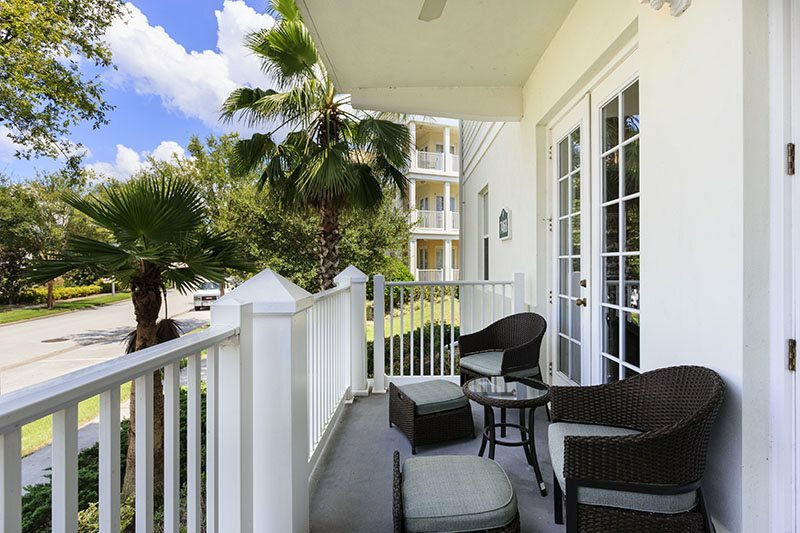 Sit on your own private balcony and enjoy a cold drink in the warm Florida breeze. 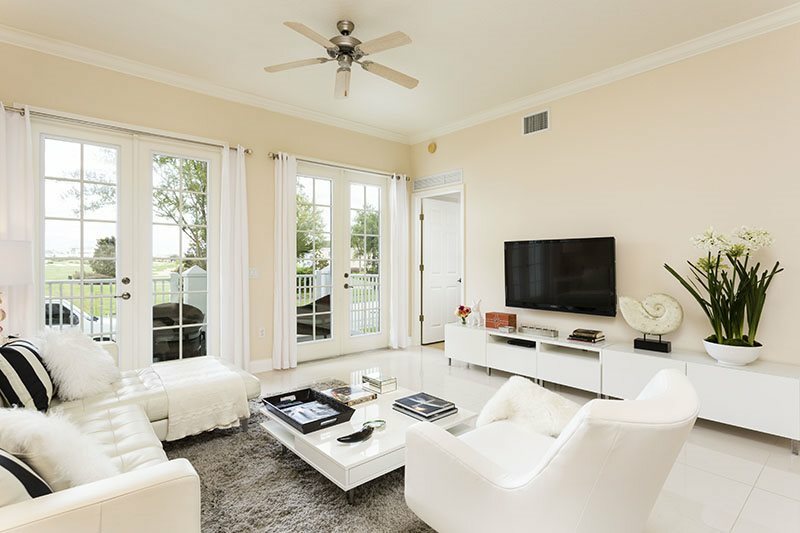 After spending the day in the sun, relax and watch the 55-inch wall mounted flat screen LED TV which is ideal for enjoying a movie night from the comfort of the leather couch. 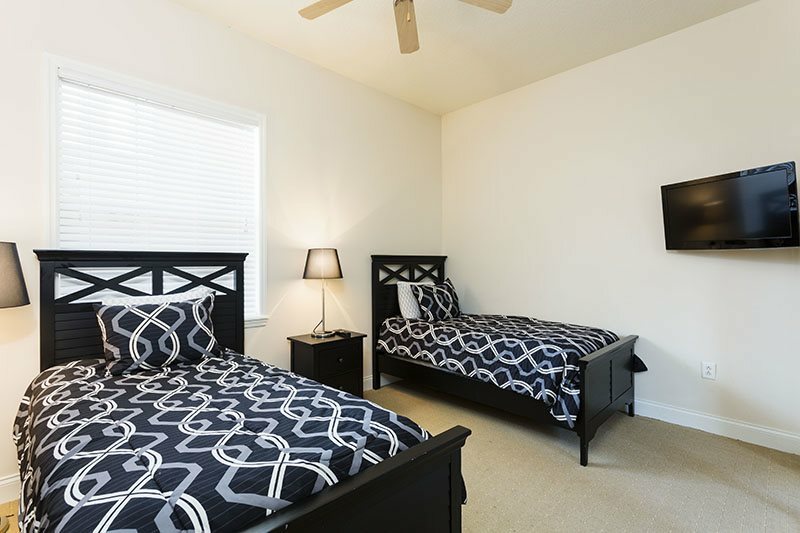 The fine fabrics, plush bedding and a 37-Inch TV/DVD combo(Master) and 32-Inch TV/DVD combos in each of the other two bedrooms will make everyone feel like royalty. 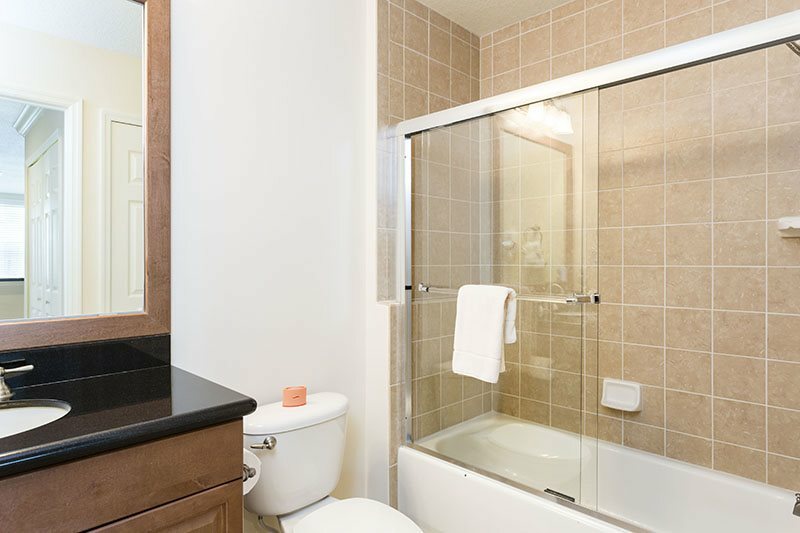 In the master en-suite, guests can enjoy the spaciousness of a king sized bed, e-suite bathroom with dual sinks and a separate shower. 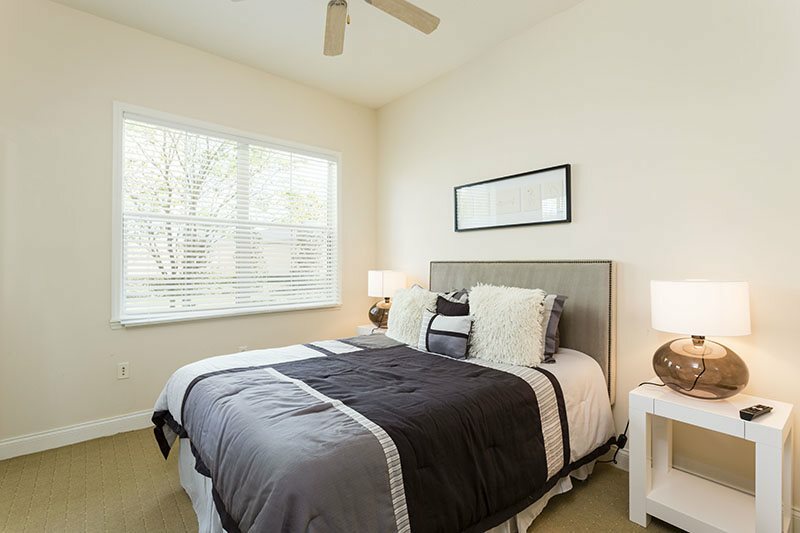 With free Wi-Fi throughout the condo, it’s easy to get online and plan the next day’s adventures while lying in bed. 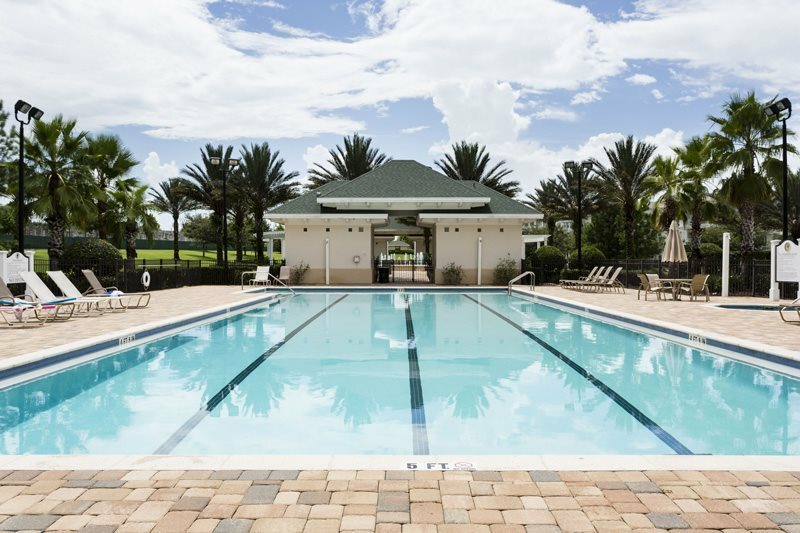 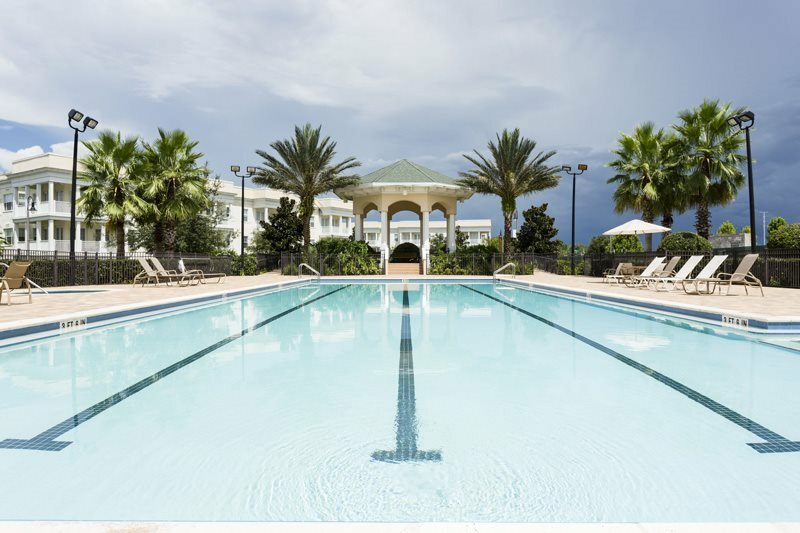 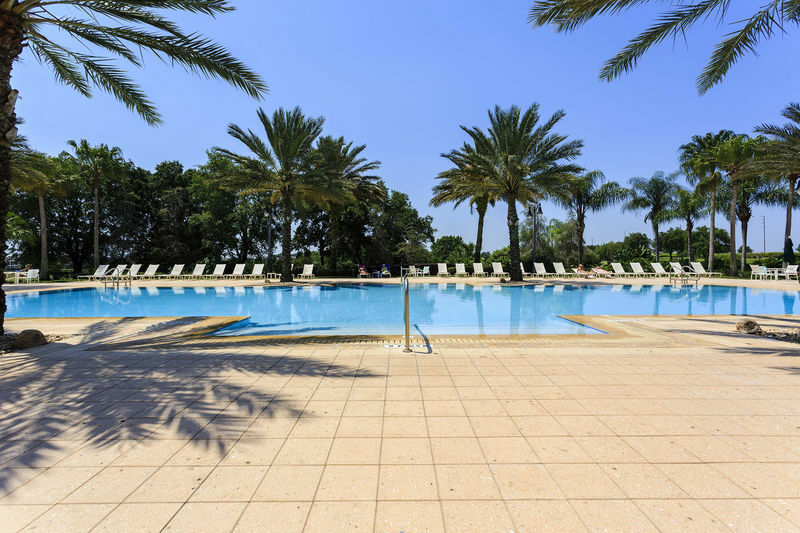 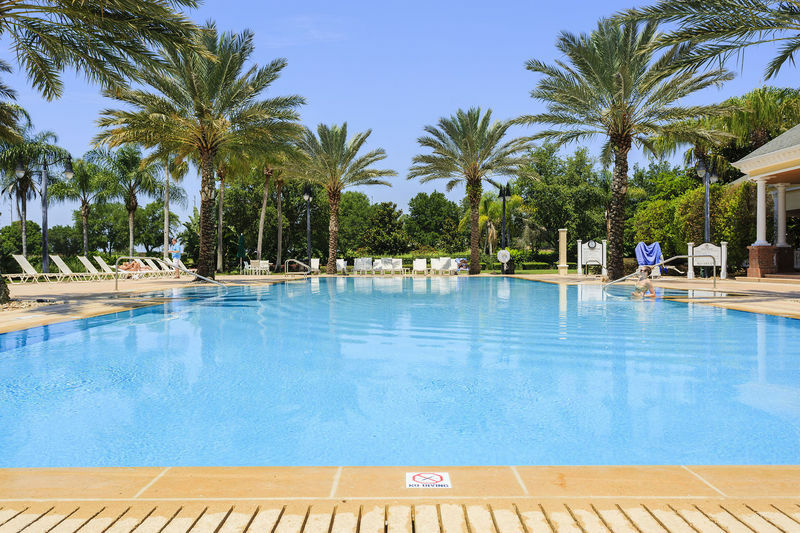 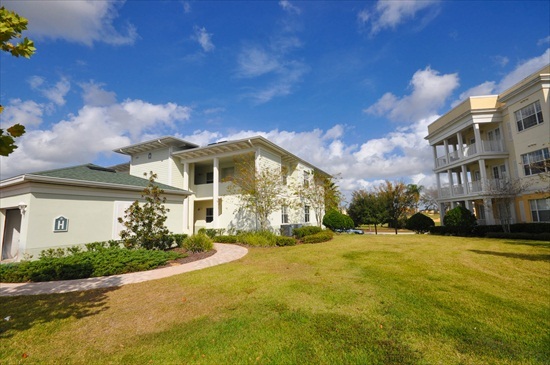 Whether you are looking for a family Disney vacation, golf outing or a nice romantic retreat, this condo has it all. 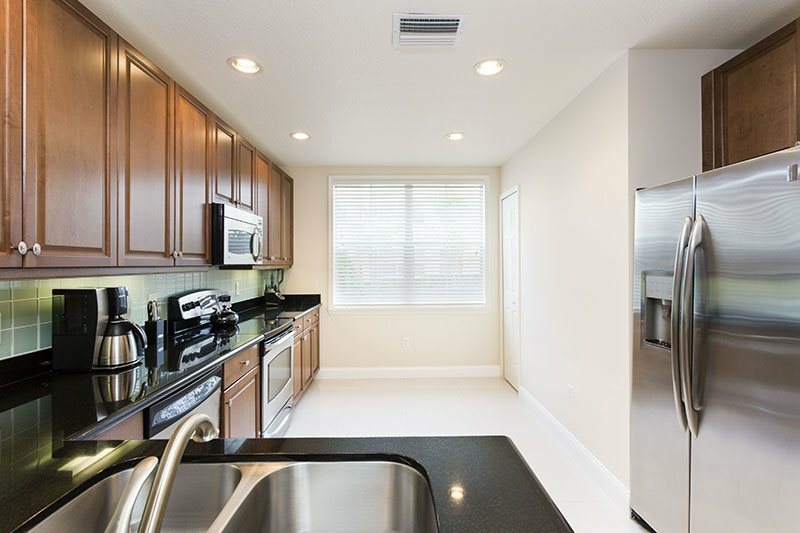 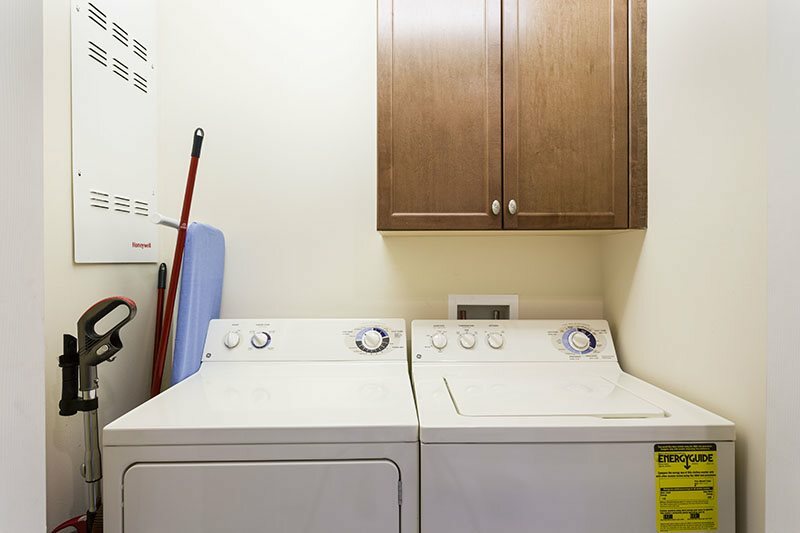 The kitchen is fully fitted with cookware, dishes, and appliances for freshly cooked meals.